and so I make myself stand." You may have seen the last trailer for Catching Fire; shocker- a mere five months til showtime and they're still using the trailer released way back in April. Slackers! If you're a die hard fan you'll want to see the Home Made Trailers version. It's a replication of the trailer using 'home made' methods with a gang of actors and friends acting out the parts. The best part may be the 11 minute behind the scenes video showing the lengths they went to to get the making of the 2 minute trailer right, or hilariously, deliberately wrong. I know it's what these guys "do" but I get a kick of fans who show their appreciation in creative tributes, or sendups. I was tempted to start a Gatsby tumblr but stopped short wary of being sucked completely into the vortex. I just don't want to go there. It's like Pinterest. I'll never leave this screen! How have you showed a favorite novel some love? The above poster was shared by Lions Gate via Instagram; it's an artist's rendition so stunning, surely she or he was feeling the love too. I haven't found the artists' credit yet; I'll update the post when I find it. Below I'm sharing three variations of the trailer: the real April 14th Catching Fire trailer followed by the Home Made Trailers version and finally, their side by side comparison version. First up the real trailer which looks both darker and deeper than Catching Fire's crazy popular' predecessor, The Hunger Games. 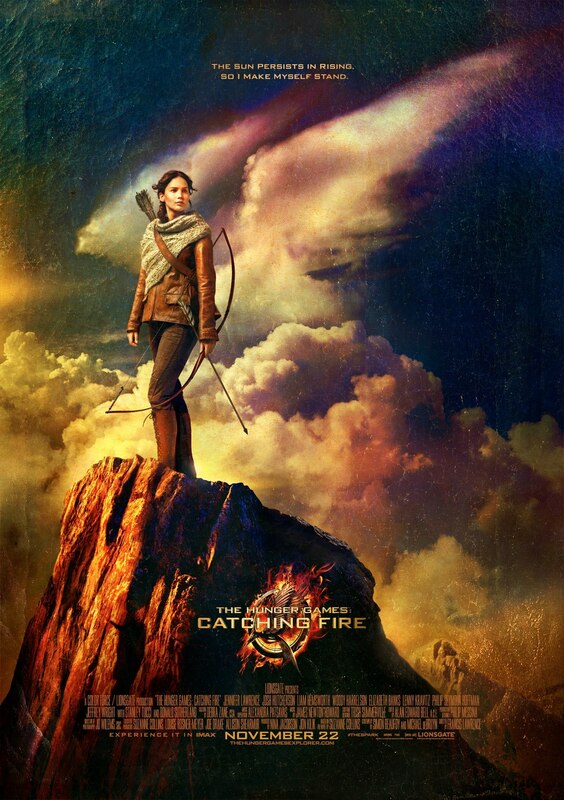 Check out the Catching Fire trailer via Trailer Cats. That threat from Donald Sutherland was hugely ominous, not just for Katniss but her entire district. For "The Hunger Games: Catching Fire", the returning cast includes new Oscar winner Lawrence, who joins her costars Hemsworth, Claflin, Elizabeth Banks, and Jenna Malone as the she faces even more obstacles. The side by side comparison! Check out their other film trailers including Lord of the Rings.